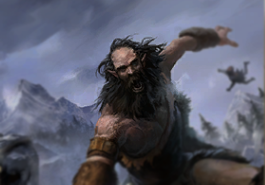 In part two of this article, we go over the core cards and tech cards of Agility and the Archer-specific cards. The Murkwater package is the one most able to snowball. The main key to success in this package is the Murkwater Savage which seems to be generally agreed on as a 2-3-of inclusion in every early game focused version of the deck. The card requires removal or it is going to get out of control. There is no way you say “I will deal with this next turn;” you either have the removal or you are going to be playing from behind trying to kill this thing like there is no tomorrow. By the time that happens you might be in a position where you cannot regain the tempo lost in dealing with this card. The Murkwater Witch is a key card for early game trading, allowing you to take out cards like Fighter Guild Recruit without having your creatures killed by the lethal on the card. A valuable tool, even more so when you are not playing a class that has access to either Execute or Firebolt to deal with it cleanly. Murkwater Witch is also another activator for cards like Finish Off and Leaflurker because of the way -1/-1-effects are treated like damage by the game. While we are at it discussing -1/-1-effects and Murkwater cards let’s talk about the Shaman. A four magicka 3/3 is far from impressive but if you get the effect running this card can be an incredible value engine since you can set up very favorable trades. I personally do not run this card but CVH had one in his top 5 legend list and Tvp9 ran 3 copies of it in his #1 list. Maxing out on this package makes a lot of sense when you play a lot more late game in your list since this opener is very likely to draw a lot of removal which allows you to setup your finishers a lot better. The Guild Recruits are also a major reason for the strength of the Agility class in general. The two magicka 1/2s are invaluable to faster decks like the Archer whether you are blocking a big creature with Fighters Guild Recruit or getting your big late game bomb reduced by Thieves Guild Recruit. The amount of value pumped into these two-drops is one of the big reasons why the class is one of the best to play at the moment. Even when you don’t get the reduced cost on your card from the Thieves Guild Recruit it offers cycle which presents you for more options when playing a more Midrange version of Archer like Tvp9’s build but I would stray away from It if you play the more aggressive version of the deck like the original CVH build with Dune Smugglers. Fighters Guild Recruit is just a no-brainer as a 3-of because Lethal on a two drop Guard is just stupidly efficient, besides the fact that it has Prophecy making it an even more pumped card. While only being a one-of in Tvp9’s build and a two-of in CVH’s build I would regard House Kinsman as a key card to this deck’s success. A three magicka 3/3 is never bad and its Last Gasp effect is one of the most effective ways of getting health advantage to make sure you trigger cards like Triumphant Jarl and Soulrest Marshal since the last gasp alone offers a six health point swing while taking something out on the board in the early game. The use of the Last Gasp effect doesn’t stop there though; try to see if you can put your opponent in awkward positions where they have to clear your board only for them to realize that they are dead on board because of the Last Gasp effect acting as a secondary breakthrough effect. Deshaan Avenger is the only key card in the four-drop slot, disregarding Murkwater Shaman. The ability to set up insanely efficient trades while buffing Murkwater Savage and even just securing a board afterwards makes the card an insanely valuable inclusion into the deck and I am personally of the opinion that this card should be a 3-of in every Archer deck, while Tvp9 disagrees and only runs one, which is down to the fact that he ran triple Shaman and CVH had the opposite amount of copies of each card. The insanity really takes off in the 5 drop area though, having some of the most incredible tempo minions, in the entire game in Leaflurker and Soulrest Marshal. I have touched on why Leaflurker is one of the most insane minions throughout the entire piece but I will touch on it once more. The fact that you run so many activators for a 5 magicka card that can literally be Piercing Javelin on a 4/3 body is such a massive tempo swing that if you are not running at least two copies of this you are almost hurting your chances of winning. You could argue that this card is better than Javelin which is the best removal card in the game simply because it can kill creatures that can’t be killed by actions (mainly massive guards like Nahagliiv and Iron Atronach). There is also no better feeling than killing Odahviing more or less for free. Soulrest Marshal has one of the most insane effects I have ever seen in a card game, the ability to burst out eleven magicka worth of cards (or more) on turn five. I have once had my opponent use a charge of Elixir of Magicka on turn 4 and slam out two Marshals and a Blood Dragon – I conceded on the spot. These storms of tempo that you can create put your opponent in a position where they have to use extremely desperate measures trying to stay alive and figuring out how they can re stabilize the board from a very dire board state. Soulrest is extremely potent when combined with Triumphant Jarl. The ability to push two 4/4s and draw two cards on any turn in the game is extremely tough to recover from if your opponent did not have complete board control. The last core card I am going to touch on is Tazkad the Packmaster. There is a reason why the card is unique and is the main unique legendary run in a lot of Archer builds. The 6/6 Charge Breakthrough with a Last Gasp of summoning a 4/4 allows you make a lot of creative plays and not just play it for lethal, even though the card’s main purpose is to act as a finisher making sure have the final reach to kill your opponent. The card is very difficult to remove from the board once it’s played since it often will require multiple removal actions and trades from your opponent, making more space or you to utilize a wider board presence to finish him off instead. I was very tempted to include a few of these cards in the core package but the part is already incredibly long and they are not staples of every Archer build. The fact that CVH’s build is much more aggressive than TVP9’s really shines through in the early game package. Gone are the three copies of Thieves Guild Recruit and one of the copies of Murkwater Witch. Instead he adds the Khajiit package, which includes three copies of Daring Cutpurse and three copies of Dune Smuggler. These inclusions basically are basically what make CVH’s Archer build into an Aggro build since you will always have at least one snowball card and the utility from Dune Smuggler gives you the ability to make very efficient trades or get around guards for massive amounts of damage. CVH also includes the Nimble Ally and Ungolim the Listener. Nimble Ally makes a lot of sense since our deck is already predominantly filled by agility cards which means that it’s almost always a guaranteed three magicka 4/4 with lethal, it’s almost impossible to answer on curve. Another card that is nowhere to be seen in Tvp9’s list is Ungolim the Listener. At face value a one magicka 2/1 is decent enough on its own right, but the card almost acts a pseudo finisher since the Brotherhood Assassins that you get shuffled into your deck helps you apply a lot of pressure and cycle harder for your actual threats in the later stages of the game. Speaking of these threats, Quin’Rawl Burglar is a card that I decided not to put as a core card since I have mainly been playing the more aggressive build and to be frank the card is just too slow for being an effective finisher in that deck. You are paying six magicka for a 4/4 card that has to use a turn or two to be really effective. While a big threat, its damage and Pilfer effect are very easily blocked by a bigger Gaunt but it can be extremely potent when combined with Soulrest creating a very tough board to come back from for most decks. However, having it removed can be absolutely destructive to your game plan if you are playing the more aggressive build. If you play more top end you can regain tempo by developing a big threat on the board even after Quin’Rawl has been removed from the board. Cycle in general can be a big problem for the deck in general and Tvp9 put in triple Varanis Courier to handle that allowing you to cycle into your bigger threats more often. Courier also offers valuable damage deflection against very aggressive decks since the 1/3 body can trade decently well early game. Later in the game, it can still very easily block bigger threats while getting the value from the Last Gasp and even setting up for very potent clears with Falinesti Reaver and Leaflurker. When you combine two colors in Elder Scrolls: Legends you get access to two cards (so far) that are exclusive to that exact color combination. The two cards that Archers have access to are Allena Benoch and Falinesti Reaver. Both cards offer incredibly potent removal options for any deck that want to play them. While both fitt perfectly fine in quicker builds, they shine through in slower builds like Tvp9’s. He plays double Falinesti and in combination with Skaven you can clear an entire lane for eleven magicka. While that might seem too slow it is one of the absolute key combos in the deck that I really haven’t touched much on yet. The fact that you can wipe complete boards while developing a 5/5 and a 2/3 on the board can be what seals the game in your favor even if you were losing up until that point. When I initially played the more aggressive build of the archer I decided that I did not want to run Murkwater Shaman and put in Allena instead. I must say that I was not very impressed with her impact on the game. I often found myself with a Soulrest in hand trying to gain a massive tempo swing but my opponent’s side of the board had nothing worth wasting Allena’s effect on and found myself much rather having another big threat in hand to push out with it. I do believe that Allena has a place in the game and can definitely give control decks something to think about since they card can easily two-for-one massive late game cards if they have run out of removal, however the metagame was too fast when I was ranking up to allow the card to shine through. Hopefully you have enjoyed this very long read, in case I have missed anything I will happily answer any questions!